In a lengthy manifesto, published online just before the attack, the alleged killer touts Trump as "a symbol of renewed white identity and common purpose." I don't really. I think it's a small group of people that have very, very serious problems. I guess if you look at what happened in New Zealand, perhaps that's a case. I don't know enough about it yet. They're just learning about the person and the people involved. But it's certainly a terrible thing — terrible thing. At the same event, Trump vetoed a resolution from Congress that would have overturned the "national emergency" Trump declared to seize funds for a border wall. Trump justified the veto by citing the "invasion" of immigrants across the southern border, parroting the rhetoric of white nationalists globally. First, let's get our facts straight. Donald Trump says white nationalism is not a growing threat. He's wrong. Over the last ten years, according to data analyzed by the Anti-Defamation League (ADL), "73.3% of all domestic extremist-related killings have been perpetrated by right-wing extremists, compared to 23.4% perpetrated by terrorists motivated by Salafi-jihadism and 3.2% by left-wing extremism." Last year, domestic extremists killed at least 50 people in the United States and "every one of the perpetrators had ties to at least one right-wing extremist movement," and "[w]hite supremacists were responsible for the great majority of the killings." These attacks are on the rise. 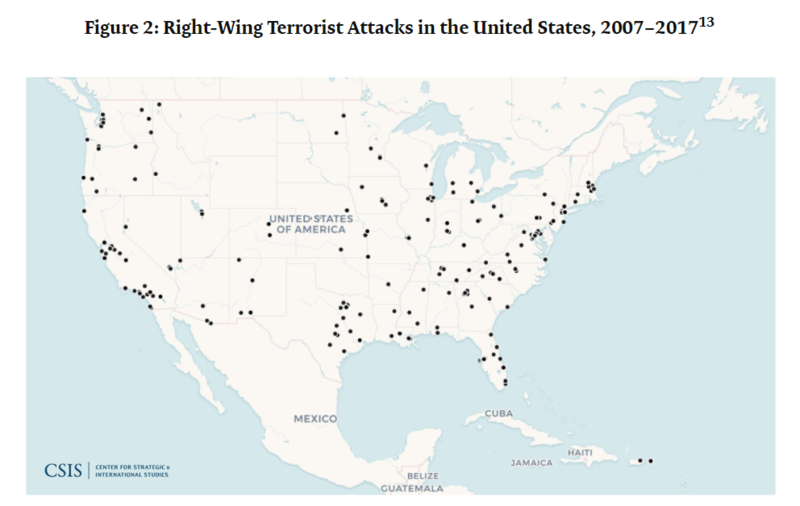 "The number of terrorist attacks by far-right perpetrators rose over the past decade, more than quadrupling between 2016 and 2017," according to the Center for Strategic and International Studies. The Department of Homeland Security and the FBI jointly produced a report in 2017 entitled "White Supremacist Extremism Poses Persistent Threat of Lethal Violence." That report proved prescient when a white nationalist, anti-immigrant, and anti-Semitic man murdered 11 people at a Pittsburgh synagogue last October. In addition to violence, white supremacists have also rapidly increased their recruitment and visibility. ADL data "shows white supremacists’ propaganda efforts increased 182 percent, with 1,187 distributions across the U.S. in 2018, up from 421 total incidents reported in 2017." It is a global phenomenon. In Europe, "far-right attacks" jumped "43% between 2016 and 2017." While "deaths resulting from terrorism decreased 27% worldwide" the "the threat of far-right political terrorism is on the rise." On Sunday, just a few days after the New Zealand massacre, Trump spent his morning defending a Fox News host who was suspended for anti-Muslim commentary. Last weekend, Jeanine Pirro suggested that the faith of Congresswoman Ilhan Omar (D-MN) was un-American. Think about it: Omar wears a hijab, which according to the Quran, 33:59, tells women to cover so they won’t get molested. Is her adherence to this Islamic doctrine indicative of her adherence to Sharia law, which in itself is antithetical to the United States Constitution? Fox News condemned Pirro's remarks, but she would not apologize and was reportedly suspended. Trump blasted Fox News in a series of tweets on Sunday morning, accusing the network of being politically correct. "Be strong & prosper, be weak & die!" Trump tweeted. It could be a coincidence, but "be strong and prosper" is a phrase featured in a text important to white supremacists. The 1683 Battle of Vienna is extremely significant to white nationalists because the victory of Christians over the Ottoman Empire is viewed as a prelude to the current "battle" against Islam. 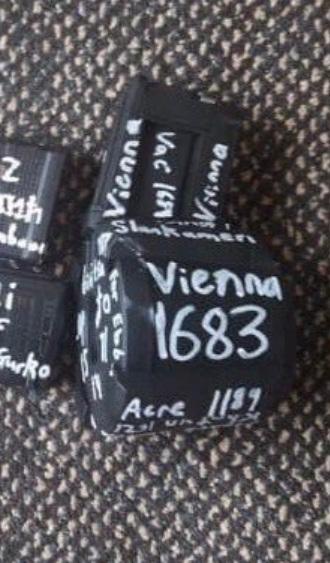 The New Zealand shooter even scrawled "Vienna 1683" over his weaponry and posted the photo on social media. There is a contemporaneous account of the Battle of Vienna, which has been translated into numerous languages. The first line of the text concludes: "[b]e strong and prosper in thy way on behalf of the Christian faith." While it's unlikely that Trump himself is familiar with this text, it is likely known to aides like White House adviser Stephen Miller and former White House Chief Strategist Steve Bannon. In a speech, Bannon cited the battle of Vienna as a historical justification for a new anti-Muslim crackdown. "The president is not a white supremacist"
Appearing on Fox News, Acting White House Chief of Staff Mick Mulvaney was asked whether Trump would deliver a speech condemning white nationalism. "The president is not a white supremacist. I'm not sure how many times we have to say that," Mulvaney replied, not answering the question. "I don't think anybody can say that the president is anti-Muslim," Mulvaney added on CBS' Face the Nation. Mulvaney's defensiveness is the result of working for a man who, from the outset of his presidential campaign, has sought to exploit racial grievances against Muslims and others. In his first speech as a candidate, Trump referred to Mexican immigrants as rapists. In a September 15, 2015 townhall in New Hampshire, Trump told a member of the audience that he was looking at ways to "get rid" of Muslims in America. TRUMP: We're gonna be looking at a lot of different things. A lot of people are saying that. Trump later pledged to ban all Muslims from entering the United States and attempted to implement that policy as president. In November 2017, he tweeted doctored videos from a white nationalist British group, Britain First, that purported to show Muslims "beating up a Dutch boy on crutches" and "pushing a boy off a roof." That move earned him praise from former KKK leader David Duke. The Trump administration has dismantled the modest efforts by the federal government to counter right-wing extremism. The Obama administration created a small pool of grant money to counter white nationalism and other extremist ideologies. 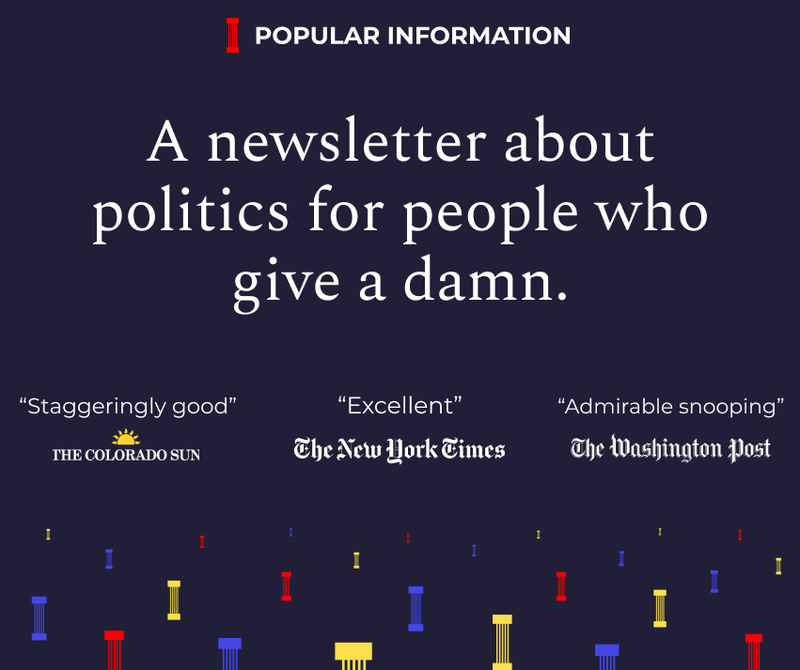 The money went to fund Life After Hate, "one of the only programs in the U.S. devoted to helping people leave neo-Nazi and other white supremacy groups" and researchers "helping young people develop media campaigns aimed at preventing their peers from embracing white supremacy." Trump immediately canceled both grants shortly after taking office. The Office of Community Partnerships, which administered the grants, saw its budget slashed from $21 million to $3 million. An interagency task force "on Countering Violent Extremism, or CVE, that included officials detailed from the FBI, the National Counterterrorism Center, and the Departments of Justice, Education, and Health and Human Services" was disbanded. The Trump administration was open in its belief that white supremacists were not a problem. Former Deputy Assistant to President Trump Sebastian Gorka falsely claimed that in the United States "[t]here has never been a serious attack or a serious plot that was unconnected from ISIS or al Qaeda." Many people, citing Oklahoma City and other incidents, pointed out that he was wrong. Gorka was incensed. "It’s this constant, 'Oh, it’s the white man. It’s the white supremacists. That’s the problem.' No, it isn’t," Gorka said on August 10, 2017. Trump later declared that many of the people participating in the violent march were "very fine people."